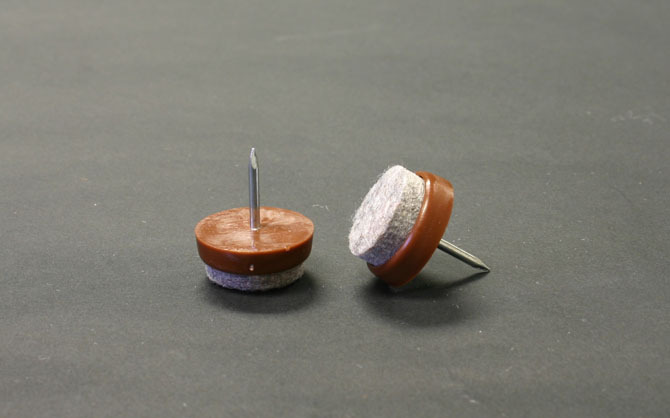 Felt Bottom Nail-on Glides nail into wooden furniture legs or bases. These glides are easy to install and will protect your floors and reduce annoying noise due to glides scraping across the floor. We recommend pre-drilling a hole in the wood, prior to insertion of the glide, to prevent splitting of the wood or damage to the glide during installation.